Tickets for the Pies' JLT Community Series matches are now on sale. 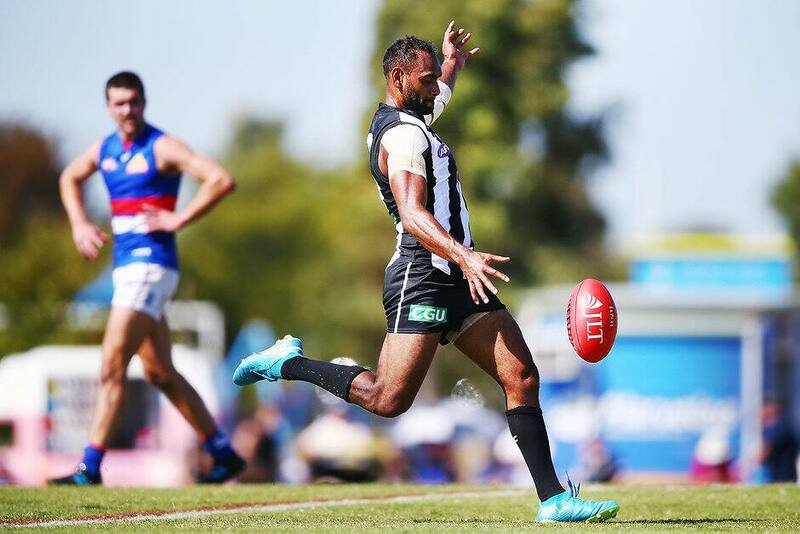 CLICK HERE to buy tickets for Fremantle v Collingwood at Joondalup, WA, on Monday, March 4. CLICK HERE to buy tickets for Collingwood v Carlton in Morwell on Monday, March 11. * Please note, tickets are initially available for AFL Members and Club Members only, with sales to the general public beginning at 9am on Tuesday, February 5. Once again, AFL and Club access members will have free general admission entry to those matches in which their Club is competing (subject to availability, upgrade fees may be applicable). Some restrictions may apply for non-access members. To confirm your eligibility, please contact your club. Access to JLT Community Series matches is subject to capacity and is not guaranteed. The AFL recommends that members upgrade their membership to a reserved seat or register for a general admission ticket in order to guarantee entry. Membership upgrades and registrations are subject to availability on a first come, first serve basis and subject to an additional fee. Transaction fees may also apply. Children aged 6-14 as at 1 January 2019 are eligible to purchase a junior ticket. Children aged 5 and under as at 1 January 2019 are entitled to enter the ground at no charge; however, they must not occupy a seat. Persons aged 15 and over as at 1 January 2019 are classified as an adult, unless they hold valid Concession identification. The AFL is a National Affiliate of the Companion Card program and we agree to provide an admission ticket for the cardholder's companion at no charge. The Companion Card program is applicable at all AFL Venues.